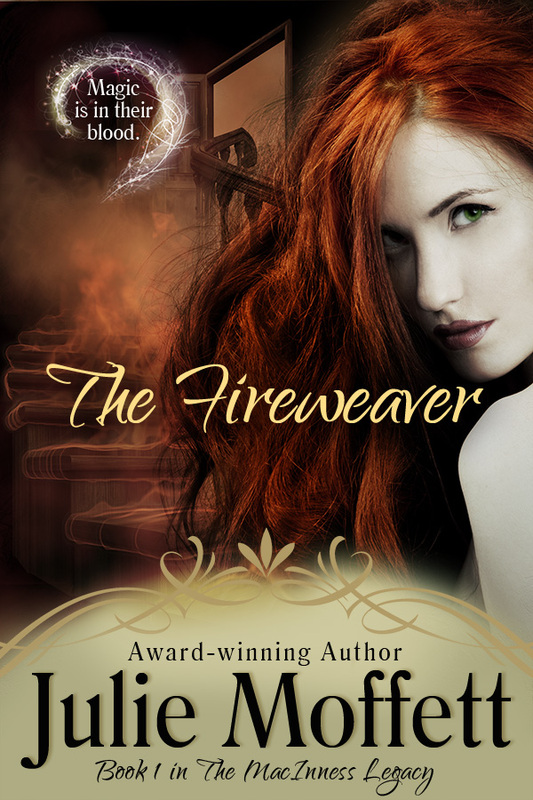 The Fireweaver . . .
Priscilla Mary Gardener was about to hang. After twenty-one years of life, it would end here on Gallows Hill, not far from her home, with a rope around her neck and a suffocating black wool hood draped over her face. How ironic that death would embrace her now. Blessed with health, youth, and vibrancy, she had never given herself leave to contemplate her own demise. But during these past two weeks she had been forced to ponder death and the fragility of life. She did not want to die. Even as she stood precariously over a rickety trap door with a noose around her neck, she still dared to hope there was a possibility she might be saved. It saddened her that not one of her neighbors or friends came forward to speak for her, to challenge the preposterous claims that had been made against her. Not one raised their voice in protest against her execution. She was alone and condemned. The thick rope weighed on her neck, chafing her skin. Her wrists were tied behind her back and rubbed raw. At first, her arms had ached fiercely, but now only a dull pain throbbed. Her legs were unbound, but she feared moving even a breadth lest the trapdoor open and hasten her demise. Priscilla drew in a painful but steadying breath, and reflected upon her life, one that had once been blessed and good. She’d had a husband who had loved her, and a mother and father who had adored and sheltered her. As death neared, she saw that little else mattered. Breathing became more difficult beneath the hood. Cold sweat trickled down her temples and neck, causing her to shudder uncontrollably. Perhaps, if God were truly merciful, she would suffocate beneath the black hood before they ever got on with the hanging. If not, she prayed her death would be quick and clean. She had no wish to suffer a long and agonizing death while the people she had known all her life looked on, wondering, whispering. Priscilla supposed it was almost time now. A man on the scaffold said something, but she couldn’t make out the words through the hood. She was no longer certain if she were breathing. She felt light-headed, weak, as if she had already taken leave of her body. A hand pressed into the small of her back and she heard more mumbling. Then the noose tightened around her neck just as the trap door opened. Priscilla felt herself falling and then yank to a stop as pain exploded in her head. The pain passed and there was nothing but a suffocating stillness. Without warning, the chilling darkness turned to light, shocking her senses. When her vision cleared, Priscilla could see a body swaying from the gallows a short distance away, the horrid black hood still in place. It seemed so insignificant—a tiny black dot against the enormous gray-tinged skyline. Yet as she watched the body sway, she sensed something was not right. Inexplicably her sight became riveted on the black hood as if beneath the coarse, woolen fabric lay the answer to her death. Somehow she willed her spirit forward until she almost touched the hood. Her hand trembled as her fingers brushed against the coarse fabric. Did a dead person’s hand still tremble? Steeling herself, she yanked off the hood in one swift motion. Priscilla woke in terror, screaming her husband’s name. Thrashing out, she reached across the bed, seeking the warmth and comfort of his body. For a moment, poised precariously between a dream and reality, she felt her husband beside her, solid and familiar. She could even smell the oatmeal soap that had stubbornly clung to the rough but steady hands of a master carpenter. She squeezed her eyes shut and crushed a pillow to her chest, clinging to the memory and scent of him. But the tighter she clung, the looser her hold became, and his memory slipped from her grasp as did the last vestiges of her dream. She opened her eyes, alone in the bed. A profound sorrow clutched at her heart, twisting and turning until she could bear no more. If you enjoyed reading this excerpt, you can buy the book at Amazon, Barnes & Noble, iBooks, and Kobo.